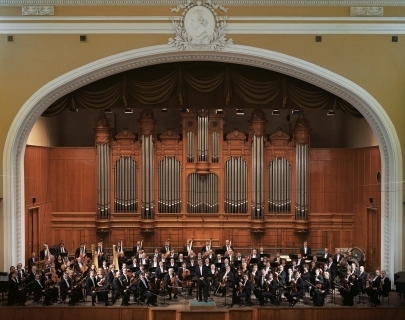 There’s Russian tradition – and then there’s the Tchaikovsky Symphony Orchestra of Moscow. 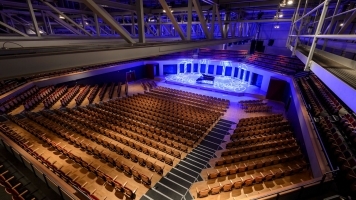 The TSO is one of Russia’s longest-established symphony orchestras, with a history steeped in the Russian way of music making. Their performance of Tchaikovsky’s heartbreaking Pathétique Symphony: has a unique authenticity – it’s music of soaring melody and tragic passion. This is Tchaikovsky pouring out his soul, and these performers have got it in their blood. But it’ll also be wonderful to hear these seasoned veterans collaborate with the superb young English violinist Jennifer Pike in the fire and ice of Sibelius’s great Violin Concerto. Plus, if you love British music, how can you resist the chance to hear what happens when this great Russian ensemble encounters the supremely English sound-world of Vaughan Williams’s Tallis Fantasia? Expect raw passion, high emotion – and transcendent beauty. Please note, this concert will now be conducted by Denis Lotoev. The original conductor – Sergey Polyanichko – is unfortunately unwell.